Watch the video [activate English / Italian subtitles by clicking on “CC”] and read on to find out more. Matera is a place with a millennial history. The city is carved in the Altopiano delle Murge, a calcareous highland plateau in beautiful Basilicata region, in Southern Italy. Its naked limestone buildings are arranged in a vertical multilayered structure. They seem to climb up the steep slope overlooking a deep rocky ravine (gravina), and make the city look like an intricate fossil holding on to a cliff. You don’t need to know the local history to feel its intense presence to this day. This is one of the most ancient human settlements in Europe, having been continuously inhabited since the Paleolithic. Testimonies of human settlements in the area and remains of Neolithic villages dating back to over 10.000 years ago can be stumbled upon even by the most distracted of visitor hiking in the surroundings. The Murgia National Park (Parco della Murgia Materana), extending around the city of Matera, encloses natural and archaeological treasures easily accessible to visitors. The park is dotted with natural caves which have been turned into rock churches during the Early Middle Ages, unexpected places of worship often decorated with beautiful frescos. Many of these caves are visible from the city centre, giving a unique touch to its unbelievable territory and making the integration between human and natural landscape even more stunning. The intense mystery of this city and the scenery of its bare stone buildings have brought many film directors to this part of Italy. The historical allure of Matera has made it a location for TV series and over forty movies. The Italian city has often played Jerusalem in biblical movies such as Pasolini’s ‘The Gospel According to St. Matthew’ and Mel Gibson’s ‘Passion’, thanks to its ancestral vibe. Despite the cinematographic resume, however, the story of this town is not a glamorous one. As recently as the Fifties, Matera was deemed the disgrace of Italy. The city made the news when Carlo Levi, an Italian physician, artist and anti-fascist activist, published a memoir of his exile in Basilicata under the fascist regime. In his 1945 book, Christ Stopped at Eboli, Levi described the extreme living conditions of the cave-dwelling population of Matera, where he had been deported. The “Sassi” neighbourhoods, from shame to fame. Until the XVIII century, the ancient neighbourhoods named Sassi [literally “stones”], carved into the side of the canyon, had been an example of harmonic urban development and good management of natural resources. The old town featured a functional water management system, based on overlayed reservoirs and wells, that is studied to this day. For both economic and demographic reasons, after the unification of Italy in the late XIX century and with the crisis of the local rural economy, the city went through a period of overpopulation and sunk to a state of dire poverty. Peasant families started living in the ancient troglodyte caves together with their cattle, so when Levi first arrived in Matera he discovered a backward society, where families lived without running water or electricity, isolated from the rest of the country, and where children died from curable diseases. Following Levi’s depiction of Matera, the national community could no longer ignore the desperate conditions of its population. Italian Prime Minister Alcide De Gasperi stepped in. He visited the Sassi of Matera for the first time and called them ‘a national shame’ that needed to be solved by any means necessary. A urbanistic and welfare programme was launched for the relocation of thousands of families to newly built neighbourhoods next to the modern city. Matera became an architectural laboratory and one of the first Italian towns to experiment modern urban planning strategies. The old city was left behind and it soon became a ghost town. For decades after the mass relocation started in 1953, the historical quarters were fertile ground for criminal activities and a topic the former dwellers of the Sassi would rather avoid. In the late Fifties, a group of citizens and intellectuals started to publicly reject the idea that the Sassi themselves were a miserable, doomed place. They pointed out that the root of the decadence of Matera had been in the extreme poverty afflicting the population from the XIX century onward, which was not to blame on the physical environment. They started lobbying to reopen the old neighbourhoods and listed churches, frescos and the artistic heritage of the place, proudly reclaiming its millennial history. In the 1980s laws were passed to regulate the activities allowed in the Sassi and the old town started coming back to life. The requalification of the area involved the revamping and repurposing of old cave dwellings, courtyards and rupestral churches. The breaktrhough happened in 1993 when the Sassi were listed as UNESCO World Heritage and declared “the most outstanding, intact example of a troglodyte settlement in the Mediterranean region, perfectly adapted to its terrain and ecosystem”. In the past decades, Matera restored its pride in its past and found new confidence in its future, starting its renaissance with a surge in small-scale tourism and cultural activities. Today, the Sassi are full of fancy homes made in restored caves, b&bs, workshops, start-ups, restaurants and hotels. The urban and cultural regeneration of the city culminated in the designation of Matera as European Capital of Culture for 2019. The typical pane di Matera is a PGI traditional product, looked after by a local consortium that watches the application of specific rules. The history, ingredients, and use of this food are deeply connected with its territory and its original peasant culture. The loaves are impressive, their shape somewhat reminding of the hard, rocky landscape of Matera, and their size reaching 2 or 3 kilos formats. These fascinating “bread monsters”, the largest of which look like fragrant, huggable crocodiles, feature bumps or “horns” that make them develop in height during the baking time (about three hours in wood-fired ovens). Only trained bakers know how to fold the dough to obtain that unique shape, which is finished, before baking, with three cuts that symbolize the holy trinity. Of course, the unique looks of this bread didn’t happen by chance. Until the last century, bread was baked in communal ovens. Most homes – and particularly those in the Sassi – didn’t have enough room for an oven and households had to rely on communal ones to bake the bread that was traditionally kneaded at home. Loaves that developed in height rather than in width allowed to bake more bread in one batch, improving the productivity of each baker. The funky appearance of the bread of Matera has yet another effect. The shape of its thick crust allows the inside to retain its humidity, so a loaf can stay fresh for longer. This was very important in a society based on a simple rural economy, where shepherds and peasants would stay away from home for long days and needed to carry some simple food that wouldn’t deteriorate too easily. The durability of this product – that can stay fresh for up to 9 days, depending on the size of the loaf – is granted by other important factors: the use of 100% durum wheat semolina flour for the dough and of sourdough made from fermented ripe fruit as the only leavening agent. By regulation, to this day the grains used in the flour come, by at least 20%, from local varieties of wheat such as Senatore Cappelli, Duro Lucano, Capeiti and Appulo. 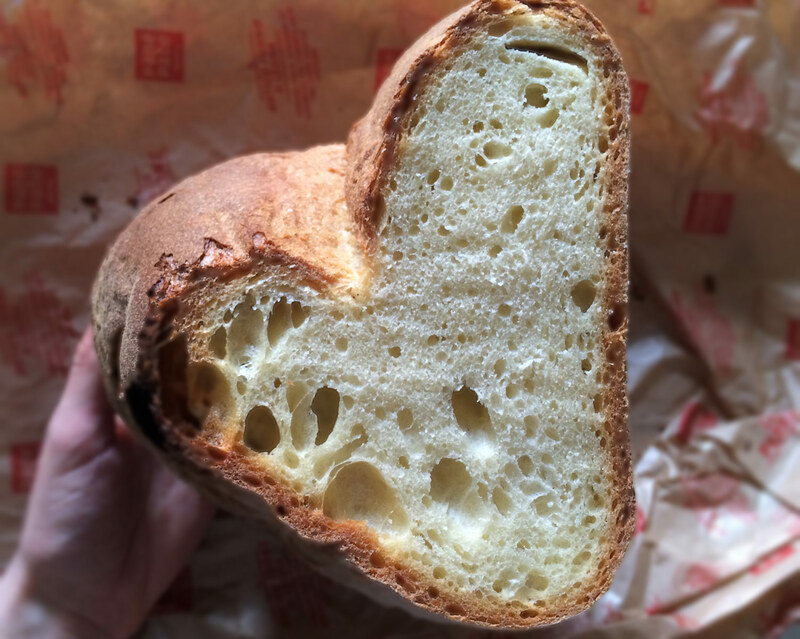 Many artisanal and culinary traditions link Matera to its fragrant bread. 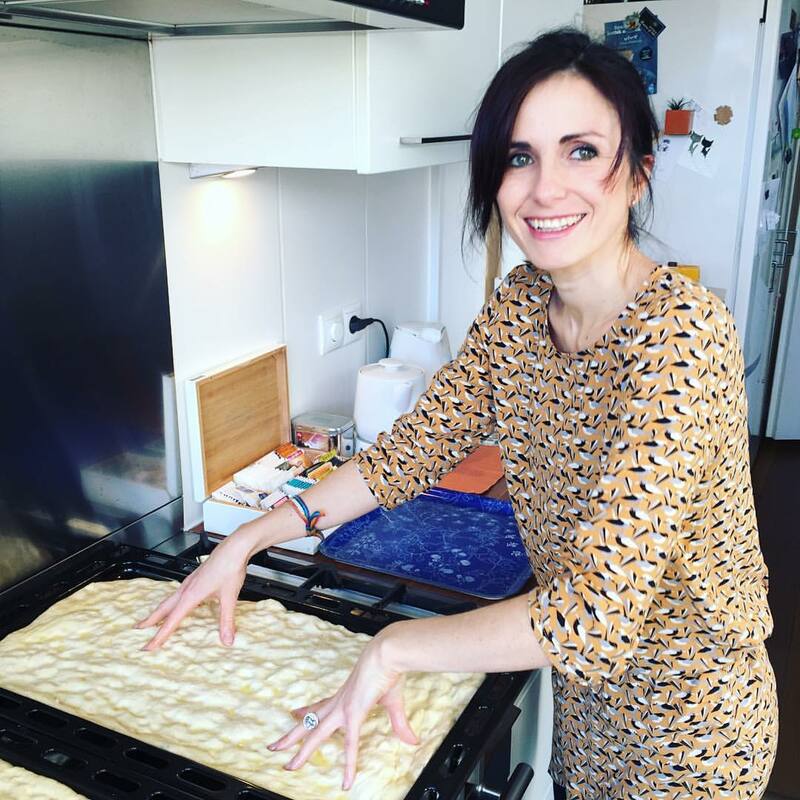 Walk into the less globalized trattorie and osterie in town and you will find that the local bread is still used as an ingredient in many recipes of peasant origin, which will surprise you with their flavour and simplicity. Ask the locals about bread stamps. You’ll find out how the necessity to recognize one’s loaf when picking it up from communal ovens triggered an interesting form of craft, connected with rural symbols and the social life of the old town. Matera’s primitive, intense beauty, like that of its sculpturesque bread, can conquer you at first sight. It’s a pleasure to let it get to you, and you’ll love this place even before discovering 10.000 years worth of good reasons to do it. If you’re interested in visiting Matera with As Soup As Possible, please get in touch via the contact form, or sign up for our monthly newsletter. Next PostFranco Pepe: when local goes world-class.